Rakusan began creating the Fan Series with a mixed set of designs whose signatures and seals suggest they were carved during the last half of 1933. Aside from a scattering of designs eventually used for later themes, the majority of these early designs were assembled into the first six themes of the series, including the 103 Tree-peony theme. The 36 Series designs for all six were also completed and carved within that same short period. 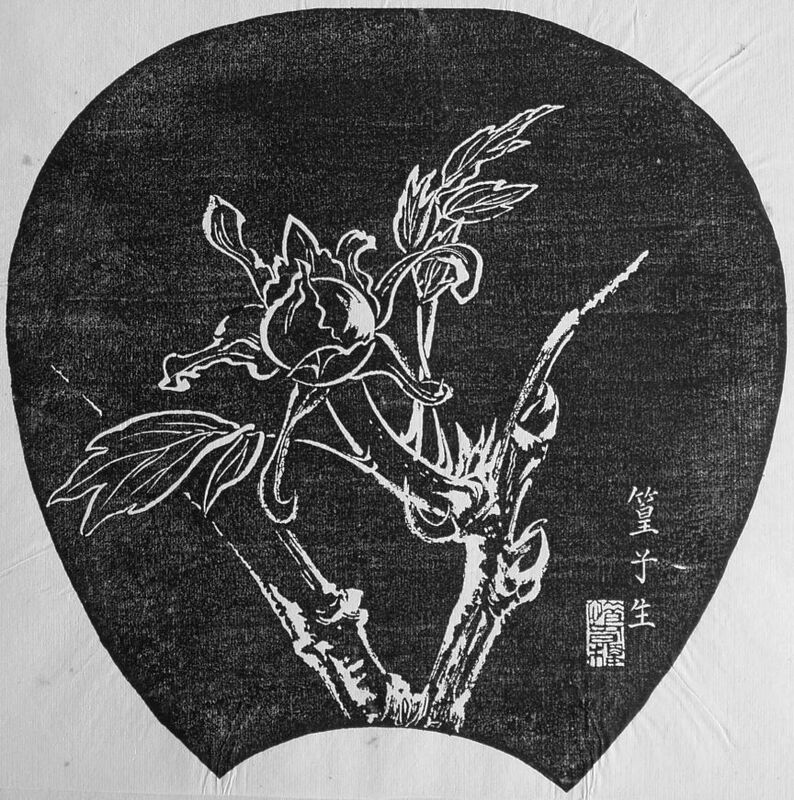 The Fan Series woodblock prints of the 103 Tree-peony theme were distributed in January 1934 in the first delivery, installment one (of twelve). The other two themes in installment one are irregular, and the 103 Tree-peony theme is the first of the entirely regular themes in the series. Later in the series Rakusan created a second tree-peony theme. That later 117 Winter Tree-peony theme is also perfectly regular in arrangement and content, but each of those designs bears later markings. The designs in the two tree-peony themes also differ in execution with the petals in the 103 Tree-peony theme more silhouette-like, and those in the 117 Winter Tree-peony theme filled with scribed parallel lines. 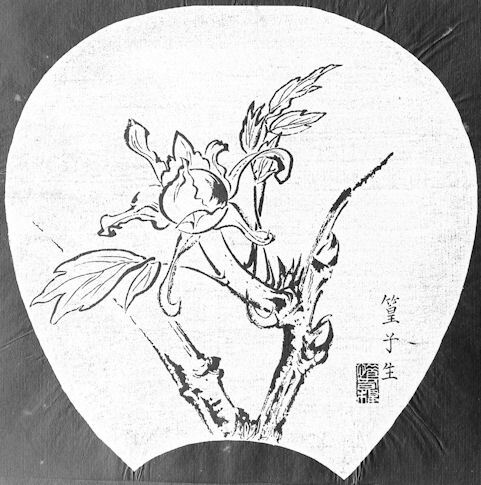 The 117 Winter Tree-peony theme represents a separate later addition to the series which (apart from its shared subject) is entirely distinct from the 103 Tree-peony theme. At least some of the designs in the 103 Tree-peony theme were adapted from sketches originally created in the late 1920s during the planning of design 10 in the earlier 100 Series (see below). Similarly, the designs in the 117 Winter Tree-peony theme were adapted from sketches for design 11. Tree-peony, Paeonia suffruticosa, 牡丹, ぼたん, ボタン, botan, now comes in many colors, shapes, and varieties. Winter-blooming Tree-peony, Paeonia suffruticosa var. hiberniflora, 寒牡丹, kan-botan; or 冬牡丹, fuyu-botan; both lit. 'winter tree-peony', is the earliest-blooming variety of tree-peony and typically begins to bloom before the winter snow has melted. Therefore, to protect the new growth the plants are typically staked and often protected from the weight of the snow by a woven grass mat as a kind of open tent structure.